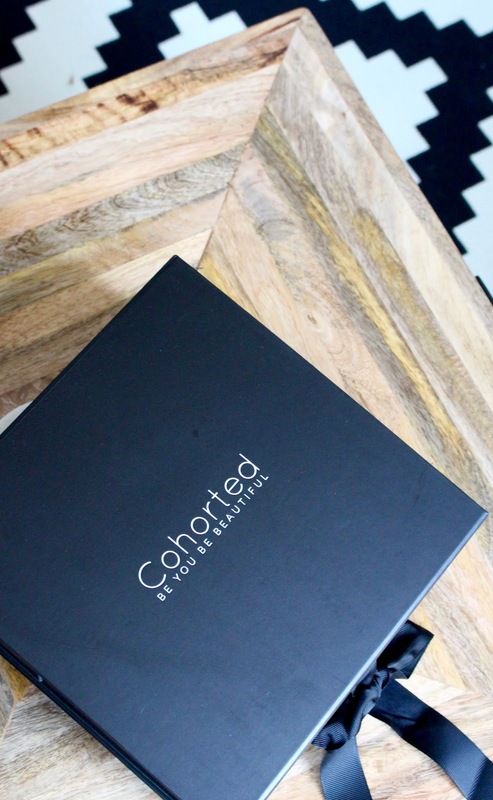 Having seen a lot of people talking about it for a while now, I was delighted to be asked by Cohorted to receive and review their subscription luxury beauty box! 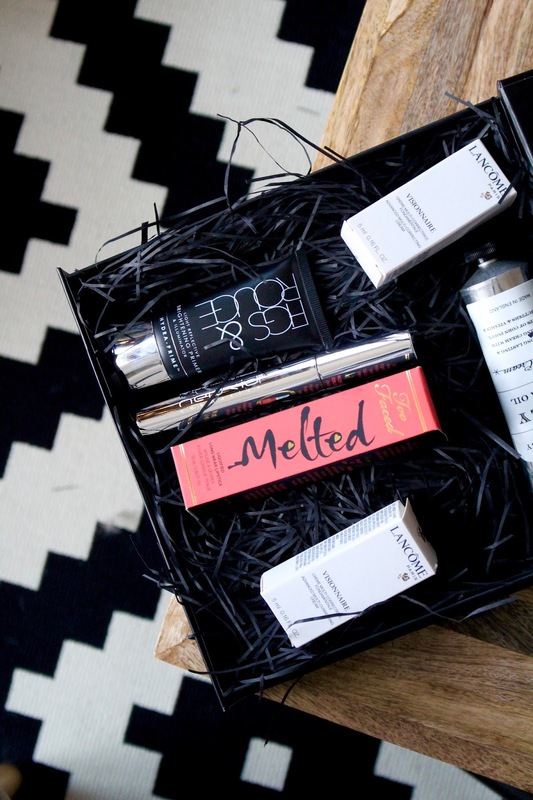 The box contains a mix of full-sizes and sample sized higher-end makeup and skincare products, and arrives in a beautifully chic, net-a-porter-style matte black box. I have to admit, I was very impressed with the presentation when I received the package in the post. The boxes cost £35 each, and this months value is £109! They are delivered monthly via royal mail. The subscription works like most others, in that you pay a month in advance for your box, and the boxes are posted close to the beginning of the month. 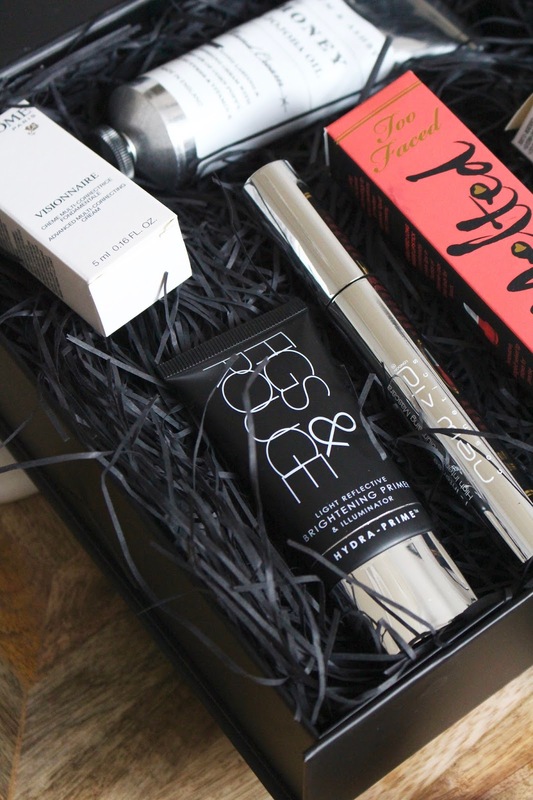 If every months’ box is at the same standard as the one I received, I think the quality and quantity of it’s contents is definitely worth £35. I love that there were brands I know and love, mixed with new discoveries that were definitely great quality! A beautiful, wearable coral shade. It says it’s long wearing, so I’m really excited to try it out! Rich commented on it’s scent straight away – he said it was amazing! I tried it right away as my hands are crying out for some hydration, and it feels divine! I was a little shocked to see a coloured liquid appear when I squeezed a little out, but I tried it on the back of my hand and it blended out beautifully, and left the most gorgeous glow! This is something I’ll definitely be purchasing as full sized! It felt amazing on my skin and I’ve already worn it for a day under foundation, and it made the blending process completely effortless! I’d not heard of this brand before, but so glad to have this mascara in my collection! I love a dense, fluffy bristle brush for my mascara, and this one looks so perfect! As a quick round-up and conclusion, I’d say I’m definitely happy with this box! I have unfortunately heard some people say that they aren’t great every month, but from what I can see, this box is totally worth the price. 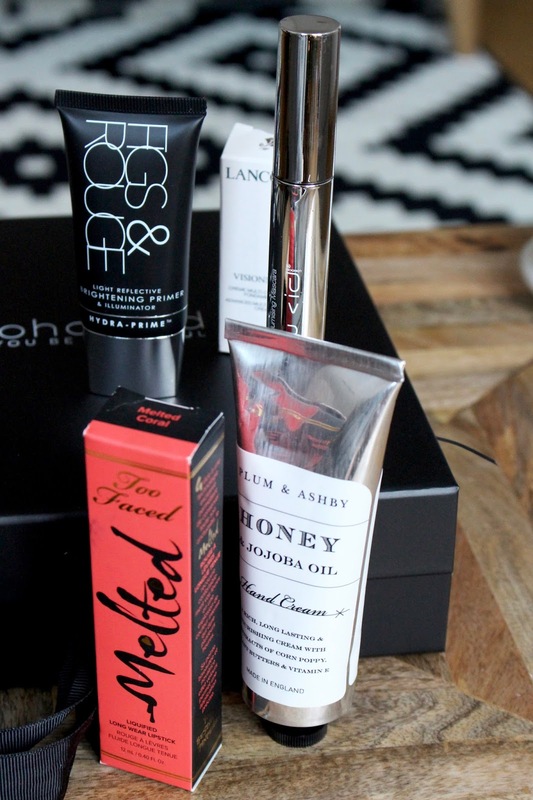 I love that I’m able to try out high end products without having to shell out for each product separately! My favourite product is the Lancome corrector, which is something I might never have discovered if I hadn’t received the box!